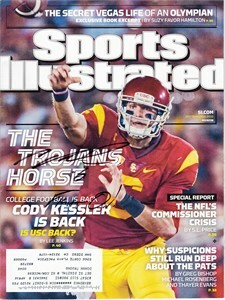 Home»Sports Autographs»Active Football Player Autographs»Cody Kessler autographed USC Trojans 2015 Sports Illustrated inscribed Fight On! 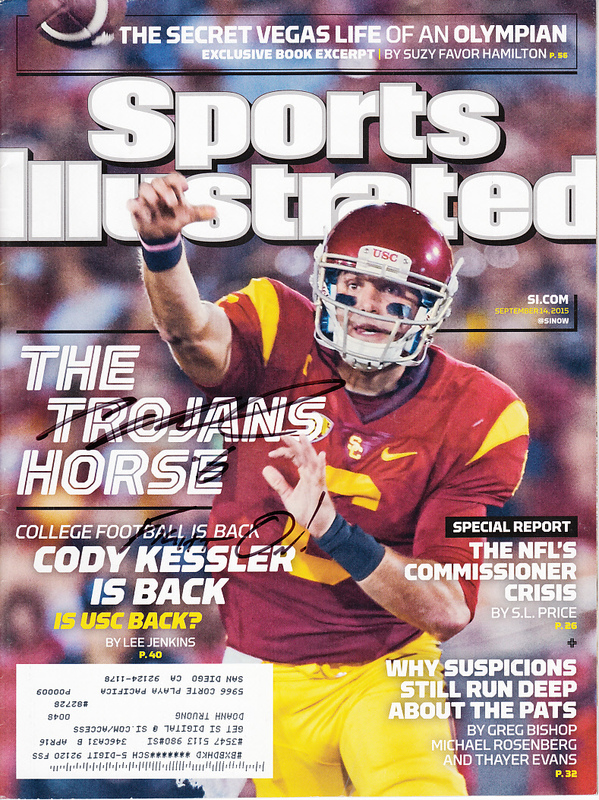 Complete 2015 College Football Preview issue of Sports Illustrated autographed in black marker by USC Trojans star quarterback Cody Kessler and inscribed Fight On! Obtained in person, with certificate of authenticity from AutographsForSale.com. ONLY ONE AVAILABLE FOR SALE.